Note: The next two tips are for Office 365 subscribers only. If you’re not a subscriber, you can skip to the handy keyboard shortcuts chart. If you’re like the rest of the world, you suffer from email overload. Your most important messages are mixed in with the dross of everyday email life — retailing come-ons, groups begging for donations, pointless newsletters and more. Focused Inbox helps solve the problem. 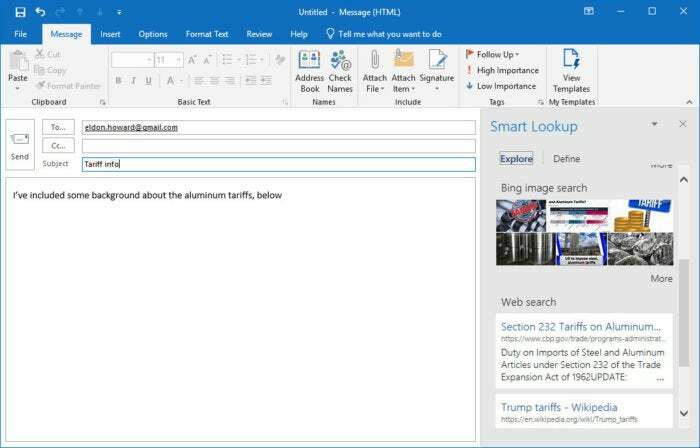 Using artificial intelligence, it determines which messages are most important to you and puts them into a Focused tab, while putting everything else into an Other tab. That way you can spend most of your time handling important messages in the Focused tab, only occasionally checking the Other tab. 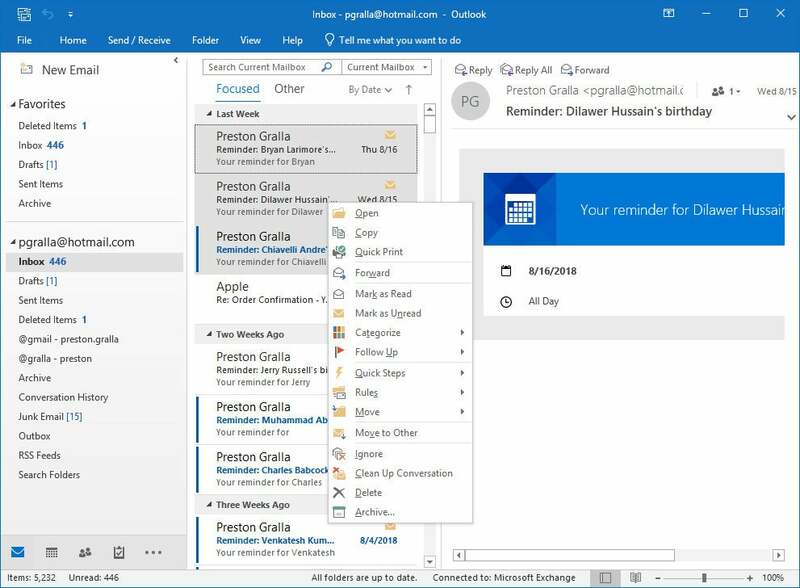 Note that Focused Inbox replaces Outlook’s earlier “Clutter” feature, which was introduced in Office 2013. If you have the perpetual version of Office 2016, you’ll still have the Clutter feature and don’t have access to Focused Inbox. To turn on Focused Inbox, select the View tab from the Ribbon, then click the “Show Focused Inbox” icon. From now on, you’ll have two tabs in your Inbox, Focused and Other. The Focused tab should have the most important messages, and the Other tab should have less important messages. If that’s not the case, you can manually move messages from one folder to the other and tell Focused Inbox to automatically filter them in that way in the future. Focused Inbox isn’t for everybody. If you find that Focused Inbox hinders more than it helps, you can toggle it back off by selecting View > Show Focused Inbox. 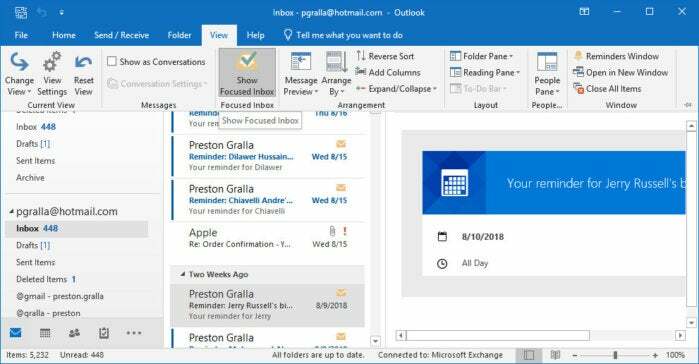 If you work in an office that uses Office 365 Groups, you can now join groups, create new groups, schedule meetings on a group calendar and more, all from within Outlook. 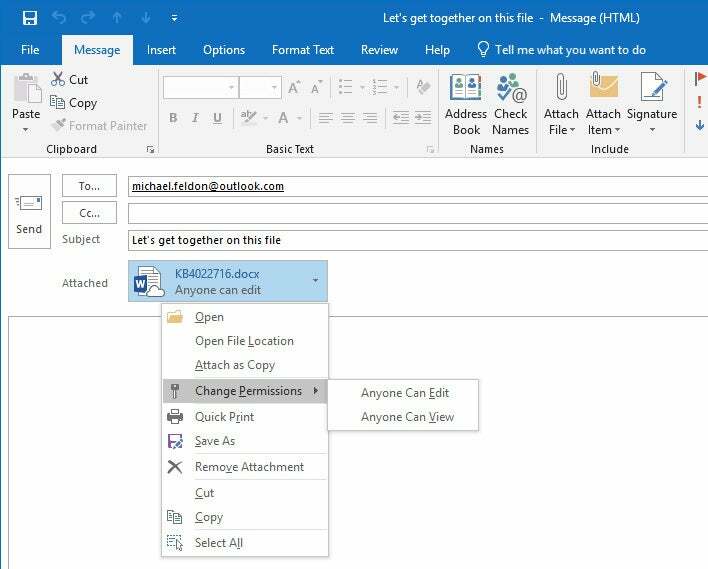 Office 365 Groups, available for most Office 365 business and enterprise plans, make it easy to collaborate with others by designating a set of people with whom to share resources, such as a document library, shared calendar and/or shared email account. 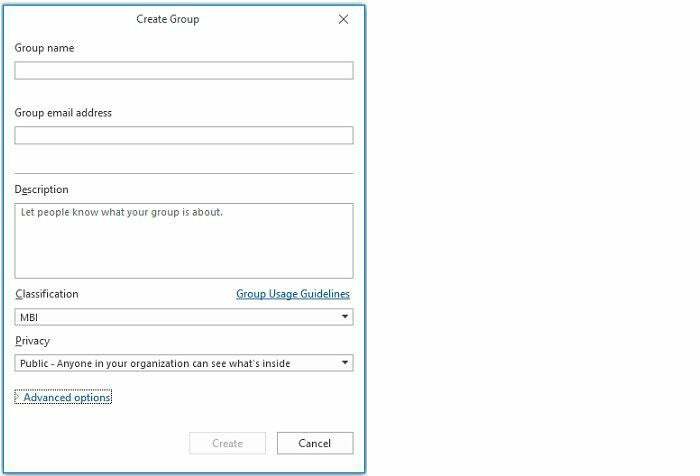 Groups can be for departments, project teams, and so on, and when a group is created, all the appropriate permissions are automatically granted for everybody in the group. Creating a new group from inside Outlook is simple. Select Home > New Group, then fill in information for the group, including its name, description, whether it’s private or public within your organization, and so on. 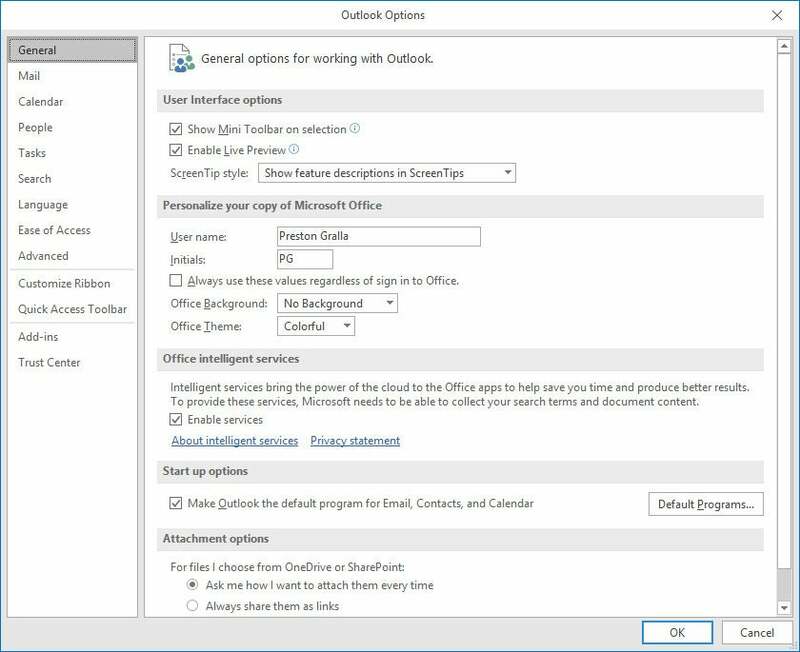 Creating an Office 365 group from inside Outlook. Note that your IT department needs to set up provisioning for Office 365 Groups, so check with IT for more details about creating and using groups. Also, in order to use Office 365 Groups in Outlook, you need to use Outlook in Cached Exchange Mode. See this Microsoft support page for details. 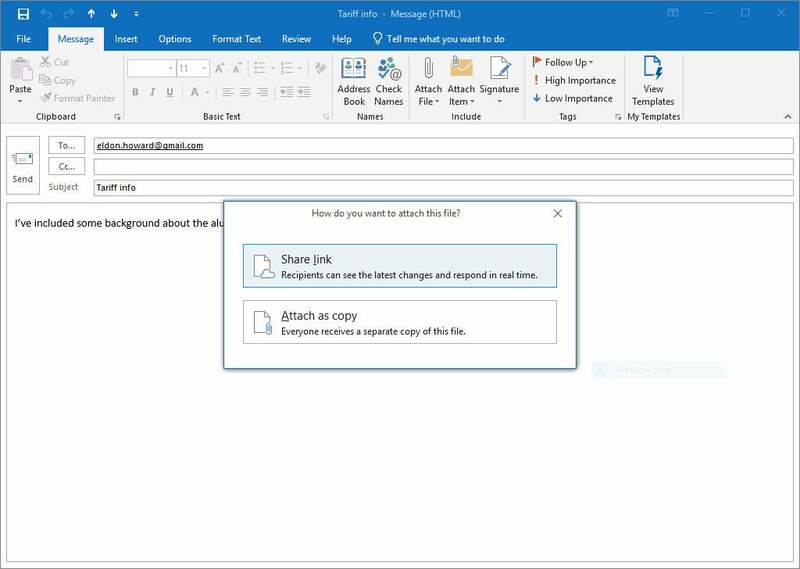 If you're a fan of keyboard shortcuts, you’ll be pleased to find out that Outlook 2016 has them. The table below highlights the most useful ones, and more are listed on Microsoft's Office site. 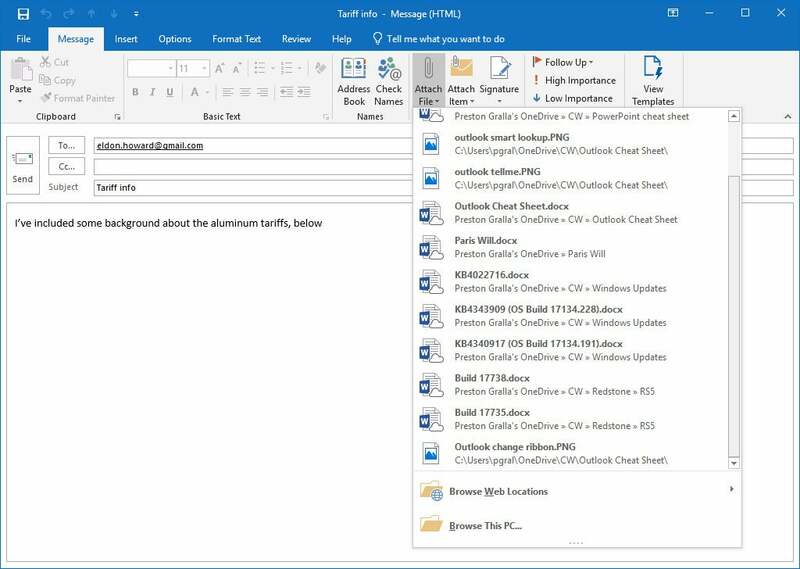 And if you really want to go whole-hog with keyboard shortcuts, download our Outlook 2016 Ribbon quick reference guide, which explores the most useful commands on each Ribbon tab and provides keyboard shortcuts for each. 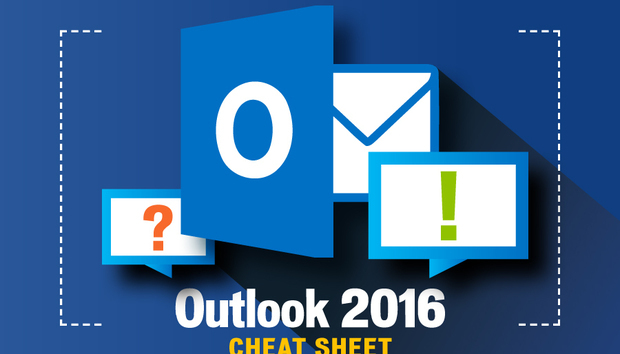 Don't forget to download our Outlook 2016 Ribbon quick reference!